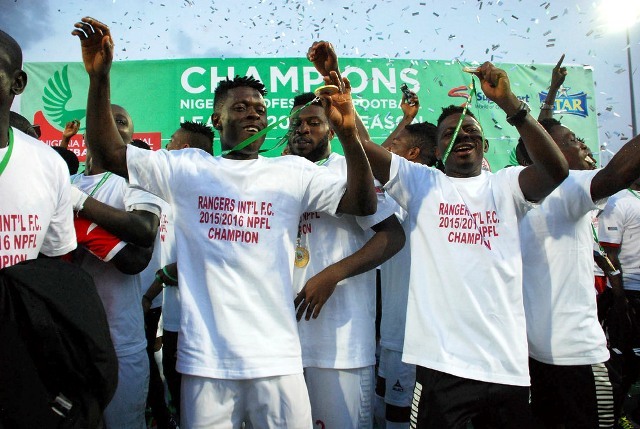 Nigeria Professional Football League (NPFL) champions Enugu Rangers will begin their trophy tour around the city of Enugu on Thursday according to report from the Flying Antelopes camp. The team recently ended a 32-year wait for a league title and are expected to be hosted to a grand reception by the Enugu State Governor Ifeanyi Ugwuanyi with widespread reports stating that the players would be rewarded with plots of land and cars. Meanwhile, the players have remained in camp and are yet to go on break after a gruelling season due to the trophy tour that will cover all the local government areas of the state.